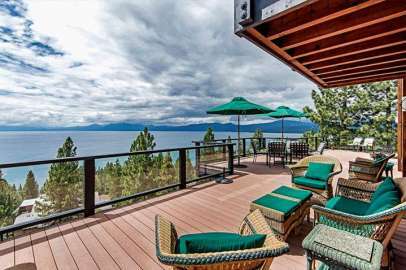 The neighborhoods located just east of Tahoe City – Lake Forest, Dollar Point, and The Highlands are home to a large local population of permanent residents and professionals. Most homes are situated in a peaceful neighborhood setting with wide streets and easy access to the middle and high schools located in this area. Many properties have lake views. Dollar Point considered as one of the North Shores best neighborhoods has access to their own homeowners association swimming pool, tennis courts, sandy beach, pier and buoy field. Lake Forest homes are primarily older cabins and single-family homes, but some have been recently been upgraded.